An update from Understood.org about an important court case for those with dyslexia and other learning disabilities. By law, employers can’t discriminate against workers with disabilities. That includes learning disabilities. This May, two companies in Connecticut got the message—in the form of a lawsuit. Kevin Lebowitz has worked as a carpenter for 15 years. He has a clean safety record. And he has many safety certifications. Lebowitz also has dyslexia, which makes it very difficult for him to read printed text. In 2012, Lebowitz reported for a new construction job, he says. McPhee Electric, Ltd. was the general contractor for the job. Bond Bros., Inc. was the subcontractor. When Lebowitz arrived, he was given a packet of safety information. A safety officer from McPhee asked Lebowitz to review and sign the packet. Lebowitz told the officer he had dyslexia. He said he would need help reviewing the packet. And he offered to take it home to review. Soon after, Lebowitz filed a complaint with the Equal Employment Opportunity Commission (EEOC). The EEOC is the federal agency that enforces laws against workplace discrimination. That includes the Americans with Disabilities Act. The EEOC looked into Lebowitz’s claim. And it decided he had been discriminated against. So the agency filed a lawsuit against the companies in federal court. Lebowitz is not alone in his experience. “Complaints of workplace discrimination based on learning disabilities like dyslexia are not uncommon,” adds Justine S. Lisser, an EEOC spokesperson. According to EEOC records, there were 408 of these complaints in 2014. Lisser points to cases against companies that demoted or fired employees because of their dyslexia. In Lebowitz’s case, the result was a settlement. This May, the two companies agreed to pay him $120,000 in damages. They also promised to make changes at the companies. One major change: Providing training about discrimination and reasonable accommodations for new and current employees. The companies also agreed to post related information at worksites. And they’ll change their employee handbooks. The two companies declined to comment to Understood about the settlement. Last night I received a very special recognition from the Children’s Regional Hospital at Cooper University Medical Center where our program, the Cooper Learning Center is within the Department of Pediatrics. One thing that was particularly special was that some of the people in attendance were former parents and kids (now grown up) who were there to offer their acknowledgements for what our program and my involvement meant to them. I then thought about the current state of affairs in the field of education. These days in education and psychology it’s all about the measurable goals, the quantifiable objectives. The work that you do as a teacher or as a therapist needs to be “evidenced based.” Your outcomes need to hit a certain percentile of growth to document and justify your work. I get all of that. It’s probably good to ground your practice in approaches that are supported by research. It’s also good (I think) to measure outcomes. I can tell you this, though. The kids in the room last night and the parents who came to offer their own tribute were not there because they hit “outcome measures.” They were there for something unmeasurable, something intangible. With all that we know about education and psychology, with all of the research and studies that have done, we can’t get past the intangibles. It’s still the intangible that impacts kids most. It’s the intangibles that matter, that make all of the difference in a kid’s life. I hope in this world of quantifying and measuring we don’t lose sight of that fact. The summer schedule begins on Monday, June 9th. About a third of my students will be new which is always exciting for me. It’s a great time to work on skills that are lagging behind their peers, without the fatigue created by spending a day in the classroom. We have a marvelous opportunity to make strong gains. Whether you’ve planned some “academics” for your children or not, below are some ideas for summer activities. In addition, you could consider rewarding your child with an end of the week treat if they read at least 30 minutes for at least five days in the previous week (an old fashioned chore chart works for this). Some ideas for treats are: a DQ, a new book, a special dessert, and a favorite at our house – have a picnic dinner. 1. Find a movie based on a book. Watch the movie, then read/listen to the book. Talk about the differences and similarities. 2. Go to the library and borrow some books and games. 4. Do a read-out-loud book. 5. Make dinner together—read the recipe, measure the ingredients, learn about the chemistry of cooking. 6. Play board games and card games. 7. Encourage your child to read to a pet or younger sibling/neighbor. 8. On a rainy day, have your children curl up with comic books or magazines. 9. Have your child plan a dream day somewhere. Be creative: they could write about it, make a collage, research with a travel book, or just talk about their ideal day. Make sure you share your ideas, too. 10. Have a TV/technology free day. 11. Once a week, “drop everything and read” for 15 minutes … everyone in the house has to participate. 12. CREATE A READING HABIT!!! Great opportunity for kids to read, so if we get the rain that’s predicted here is a great indoor activity. Something fun for your Saturday. Studies show that children feel more comfortable reading out loud to dogs than to people. Your child can read to a therapy dog this Saturday at Miller Hill Mall between 11 am and 1 pm! These 7 accommodations are a good place to begin when thinking about accommodations. Although this article is about children with Dyslexia, it has good information for parents of children with many different types of learning challenges. Since discovering that my children have dyslexia, I have been absorbing all of the information about dyslexia that I can possibly find. In the process, I’ve learned so much. I’d like to help others understand the 1 in 5 kids who have dyslexia as well. Why this is an issue: Dyslexia is a learning difference in processing language. It is much harder for someone with dyslexia to read, write and spell. Your gift may be in grammar, but someone with dyslexia may be gifted in science or music or inventing new products. Think before you judge, and think before you type that judgment into someone’s comment section. Would you like us to follow you around pointing out your un-athletic abilities or your deficiency in art? Didn’t think so. Why this is an issue: Children with dyslexia learn in different ways. While these programs are just fine for non-dyslexics, a child with dyslexia needs a program built around multi-sensory explicit instruction in phonemic awareness. Orton-Gillingham, Wilson, and Barton are some of the methods with proven track records to help children with dyslexia. 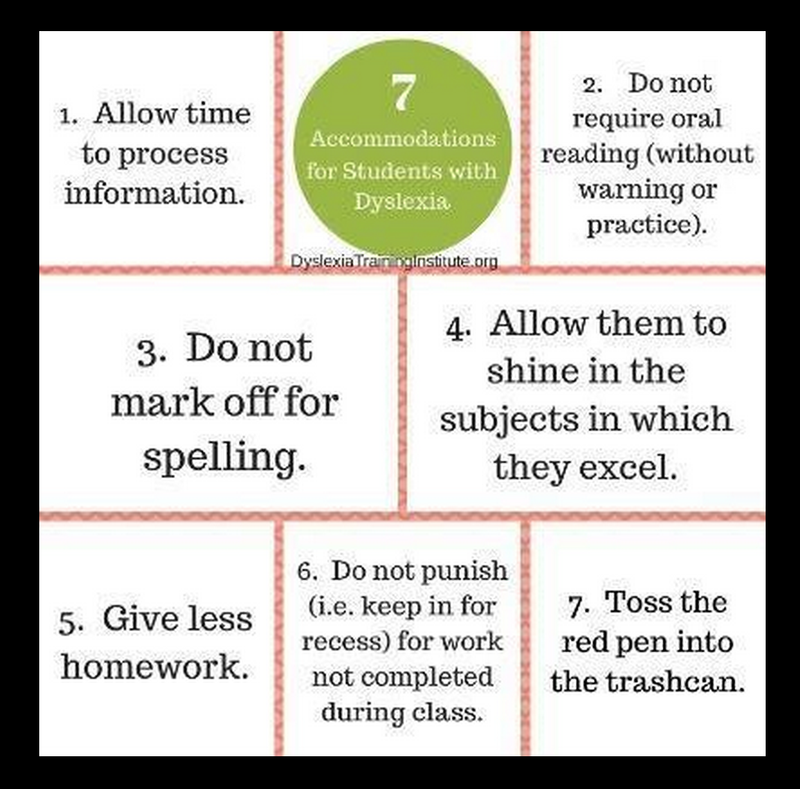 If you are not in the dyslexia community, it may not be helpful to give advice. We know it’s well meaning, but our children learn differently, and different reading programs match up with different kids. 8. Reading more isn’t the cure. Why this is an issue: Okay, we are not discouraging reading to your child. We think it’s a great thing to do! Please, keep it up! Here’s the thing, though ….we DO actually read to our children as well! Every single day! We have read to them since birth. We have loads of books in our home. We have library cards, and we go weekly. Reading to our children builds vocabulary, helps them learn about different cultures, and fosters imagination. It will not, however, magically teach them how to decode words. Please don’t assume that dyslexia is caused by a lack of early reading. Why this is an issue: Dyslexia does not solely affect reading. While no two dyslexics are alike, many children with dyslexia struggle with processing speed. This includes processing both written and spoken language. Due to the slower processing speed, it will take them longer to do a worksheet. They may even yawn because so much effort is being put into decoding the words on the page. They are not being lazy. They are using so much brain-power that they are exhausted! Please, don’t hold them in from recess. They are spending their entire day working hard in a written world, and their brains need that break. Also, multi-step directions may be a problem for many children with dyslexia. They are working hard to process the very first direction, and thus they may literally not hear the last step. They are not ignoring you. Repeat your directions, and most will say “oh!” and get busy doing whatever you said. Example: “Oh, that must be so hard to be dyslexic. What will he do in life?” This is usually followed by a very sad face. Why this is an issue: Accommodations level the playing field for Johnny. They don’t give him an unfair advantage. Think of it like this, would providing a ramp up a set of stairs for a child in a wheelchair be “unfair?” What about a child who needs glasses? Is allowing him to use his glasses in class “unfair?” Just because you can’t see the difference in the brain does not mean it is not there. Why this is an issue: Ear reading is our word for audio books. This is important because reading, however you do it, helps to raise vocabulary, introduces you to different cultures, and gives you background knowledge you would not otherwise acquire. For children with dyslexia, their IQ level is usually much higher than their actual reading level. As technology has advanced, we now have a way for our kids to read, independently, on their actual IQ level. My own son has seen such benefit from audio books via our Learning Ally membership! He listens daily. This allows him to not only build his vocabulary, but to also discuss books with his peers like Diary of a Wimpy Kid, Harry Potter, or Freckle Juice. It allows him a way to fit in, and to not feel so different. Why would anyone want to discourage that? We do still practice eye reading nightly as well. We work on it. It is equally important. Why this is an issue: When you are the parent to a child with dyslexia, it’s an uphill battle. First, you need to secure a diagnosis. Most schools will evaluate a child for special education services, but not necessarily for dyslexia. A specific diagnosis is important because it helps parents and educators know which type of reading program to provide. If your child does qualify for special education services in school (not all dyslexics meet the qualifications), there is no guarantee that the program provided will be one that is research based specifically for dyslexia. That’s because most schools do not test for dyslexia. And we go round and round. So, what do parents do? If we can afford it, we hire private dyslexia tutors, who are specialized beyond most reading tutors. See point number 9. Why this is a problem: Our kids can, in fact, learn to read, and some will even read well! They just need to have access to a research based reading program made specifically for dyslexia. Also, kids with dyslexia do not “see” backwards. They see just like everyone else. Sometimes you will see them reverse letters, but that is because many have struggles with left vs right and orthographic processing. It has nothing to do with how they see. Why is this an issue: The reading circuit in the brain is totally separate from intelligence. If our school system was set up in a way where everyone learned via musicals, then the people who don’t sing well would be considered “slow.” Reading is just one area where some people excel, and some do not. It is not a sign of intelligence. Actually, the majority of people with dyslexia have average to above average IQ levels. All upper level thinking skills are there. Our kids can do grade level work (and sometimes above grade level work), but many will need to acquire the information in some format aside from written text. This is where audiobooks really benefit our children! They are just as smart as all of the other kids in class, and sometimes they are even the smartest child in class. Reading text is not the best way to measure intelligence. 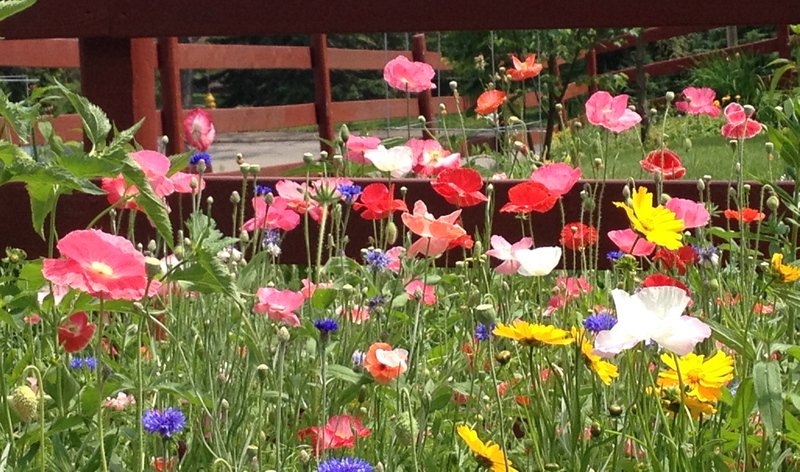 What does summer mean to a struggling student? Why is it so important to work on academic skills over the summer for struggling students? If a child struggles during the school year they are mentally exhausted after a day of school. These children work three to five times harder than their classmates to get fewer results. During the summer these children’s minds are fresh and ready to grow. When they only have to spend an hour or so a dayfocusing on educational activities, they remain engaged participants in learning. 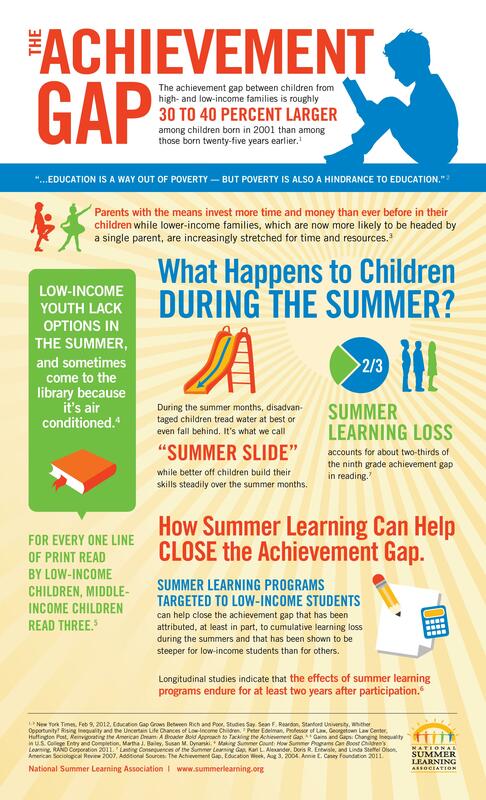 An average student loses 25% to 33% of their previous years academic growth over the summer. Struggling students lose more, if they aren’t engaged in educational activities. Given these two factors, it’s important for struggling students to receive target instruction to strengthen their weaknesses. Let them start the next year with a new confidence that can be gained by working in a one-on-one setting either with a tutor or parent. For some children this is a good time to receive Occupational and/or Speech Therapy. While for those that are on track, summer is a great time for experiential learning or possibly a language immersion opportunity. From ‘the parent connection’ Feb. 2013 workshop with Sarah Ward. 1. Executive Functioning (EF) refers to the way the brain manages plans, organizes, and sets goals to execute and complete tasks in a timely fashion. Executive Functions are controlled by the prefrontal cortex of the brain. This area matures over time and is not fully developed until early adulthood. Space – Where am I? Time – What is happening now? Later? Objects – How is the room organized? People – What are the facial expressions / body language of the people? 3. Often times children with EF difficulties are labeled as defiant or uncooperative. This is because these children have not developed the ability to visualize the future. Use ‘future glasses’: literally with younger students (have fun sunglasses or interesting frames) and metaphorically for older students (asking them to envision or predict the future). Have the student put on the glasses and picture what the finished assignment will “look like.” This skill will help the student plan and organize materials and time to complete the task. 4. Designate areas by color to reinforce the three steps necessary to complete tasks or school assignments. Encourage your child to physically move the items in progress from one stage to the next. 5. Begin by asking your child to imagine the work “DONE” rather than starting with the “GET READY” phase. Prompt your child by asking “what would a finished math sheet, finished poster, or completed research project look like?” Visualizing the completed task or assignment will empower your child to formulate ideas and gather the material to GET READY in order to DO the work and get the work DONE. 6. Visuals and photographs are much more helpful than words lists. Use them whenever possible to communicate with your kids. 7. To help with routine tasks such as getting ready for school or sports activities, take photos of kids fully dressed with all their equipment or gear. Tor school that might include fully dressed, coat shoes, backpack, lunchbox, etc. Tell kids to “Match the Picture.” For sports, take a photo of kids ready for the sport with equipment, uniform, cleats, etc. This technique works well for cleaning a room, organizing a desk or setting a table. Apps such as Doodle Buddy or Skitch for handheld devices can also be used to help match the picture. 8. Break long-term projects into steps. Sketch or outline what each finished step looks like and cut out each step. Paste each step to a calendar to map out the timeline and get a visual of the time involved for each piece. Use sticky notes so that if a step is not completed on the day scheduled it can be moved to the next day and the student can see the work piling up if too many deadlines are missed. 9. Create a special homework space. Use a tri-fold board or transform a closet into a student carrel to avoid distractions and set up a flow for the work. Sarah suggests that children pull out and open all notebooks needed for the night’s homework. Stack them up on top of one another to illustrate the mound of work. As each assignment is complete, all materials get placed right back into the backpack, ready to go to school for the next day. 10. Be aware of “time blindness.” Students with EF issue are not tuned into the passage of time or pace of work. To help children develop a sense of time increments, invest in an analog clock and ask children to predict how long a particular task or assignment might take. Use time markers such as magnets or sketch pies of time on the clock (a glass face works best with a dry erase markers) to visually show the passage of time. It is also helpful to mark a halfway point to check that the task is being attended to. Help identify “time robbers” such as being hungry, scattered papers/notebooks, and too much phone/screen time. Whether you’re the parent of a child with a reading disability or an educator that works with learning disabled students on a daily basis, you’re undoubtedly always looking for new tools to help these bright young kids meet their potential and work through their disability. While there are numerous technologies out there that can help, perhaps one of the richest is the iPad, which offers dozens of applications designed to meet the needs of learning disabled kids and beginning readers alike. 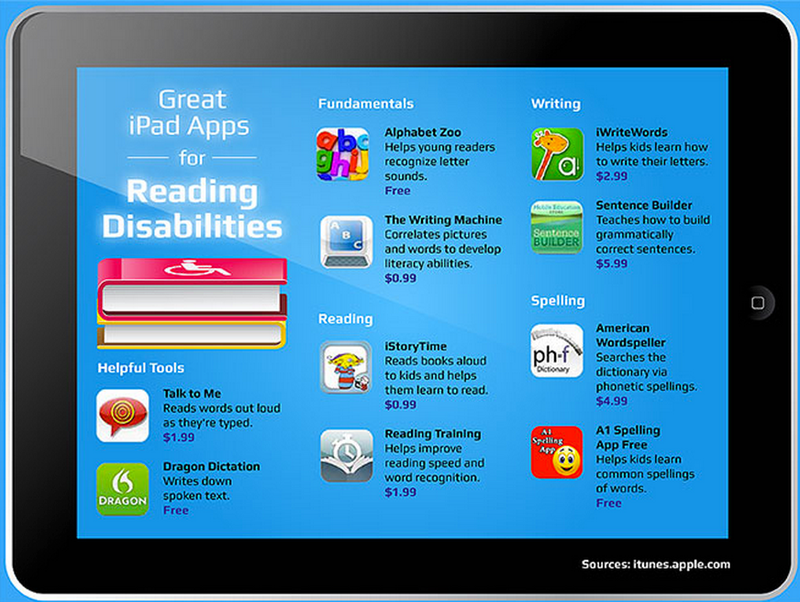 Here, we highlight just a few of the amazing apps out there that can help students with a reading disability improve their skills not only in reading, writing, and spelling, but also get a boost in confidence and learn to see school as a fun, engaging activity, not a struggle. Talk to Me: Talk to Me is another text to speech application . It can be used to read words out loud as they are typed, which can help students to better correlate the letters and words with how they’re pronounced. Dragon Dictation: Dragon Dictation works in reverse of the two apps we just listed. Instead of reading text out loud, the application writes down spoken text. For students who struggle with writing, it can be a great way for them to jot down ideas or get help learning.Merriam-Webster Dictionary: If spelling is a problem, it’s always a good idea to have a really great dictionary on hand. This app from Merriam-Webster can provide that.